I was reading rather a worrying article claiming that when cats reached social maturity aged 2-4 years they may not get along anymore and become very territorial and might spray and fight even if neutered. Do any of you with multiple cats have that issue? Harry is more solitary now he is older, but still gets on with the others. He only occasionally snuggles with one of the others now, usually Thomas Leo. He still helps the others groom their ears. Reuben is nearly two, Thomas Leo one and Filipos 11 months. I so hope they will continue to get along as they are such a happy group at the moment. Thomas Leo is so gentle,it is hard to imagine him ever territorial, Reuben can be a bit, Filipos is ultra confident but defers if the older ones want him too. 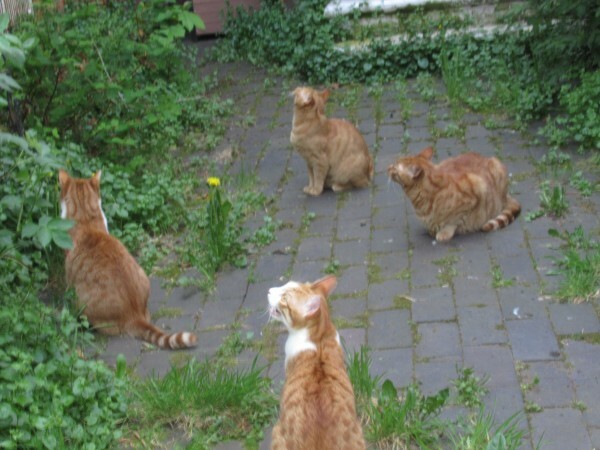 All four watching a pigeon. 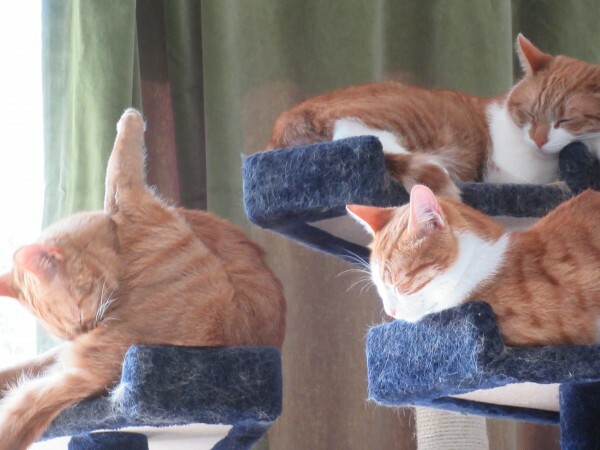 Usually just the three younger ones use the cat tree.